Mohini Mansion ki Cinderellayain, a recent hit on Bol Entertainment, is definitely not one of the ordinary serials you watch on a daily basis. Yes when I say ordinary, I do not hesitate in doing so because with a lot of repetitive content, mediocre storyline and melodramatic patterns showing up on screens every now and then, these dramas fail to have long-lasting impacts on us. Nevertheless, there are other serials which have managed to make their marks and Mohini Mansion Ki Cinderellayain tops the current list in my opinion. What makes it different and stand out from the rest is its uniqueness when it comes to the story, the stereotypes it breaks, the cultural blend of beauty and a rather realistic approach and never-the-least, the come-back of Farayal Gauher, Naeem Tahir, Yasmeen Tahir and Shabnam. Revolving around the dilemmas of life, the serial portrays each character with a uniqueness of its own, making it a combination of comedy and tragedy – just as it is for it bears both the ripeness and the infancy. From the continuous struggle of Kali to whiten her skin tone to the Bili trying to find herself her soul mate… from the miseries of Shabana Jharna trying to live another life and finding an escape from that of her own owing to her fondness towards Shabnam to the forlorn Chacha Radio, the drama depicts a fair amount of diversity and the enriched culture of the Walled City typically closer to reality. In addition to witnessing the come-back of a lot of old celebrities, we also get to see a lot of fresh talent — pretty much what the drama industry needs at the moment. 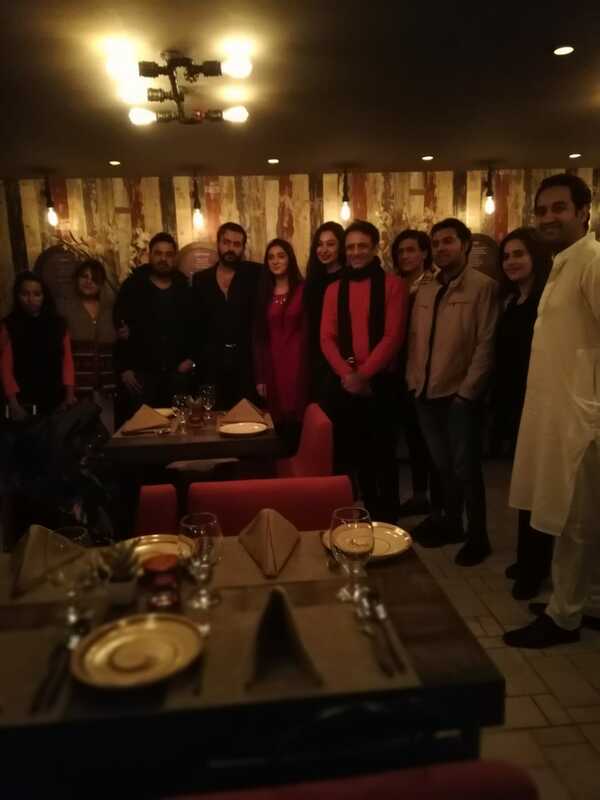 Where the magical performances by Naeem Tahir, Qavi Khan, Yasmeen Tahir and Shabnam bring back the long lost essence to the industry there we also see the performances by the new-comers adding a whole new sparkle to the drama. That is how we get to have a lot in this one serial. It will therefore, be not wrong to call it a roller-coaster of emotions. I attended their screening event and I’m happy to note what a delight it was.